Did you know that Jesus thought kids were important? So much so that at one point he actually rebuked his disciples for NOT letting the children come near him (Matt. 19:13-14). Our goal is to provide a safe, fun, distraction-free environment where your children will learn to follow Jesus. It’s our honor to partner with you in this task. 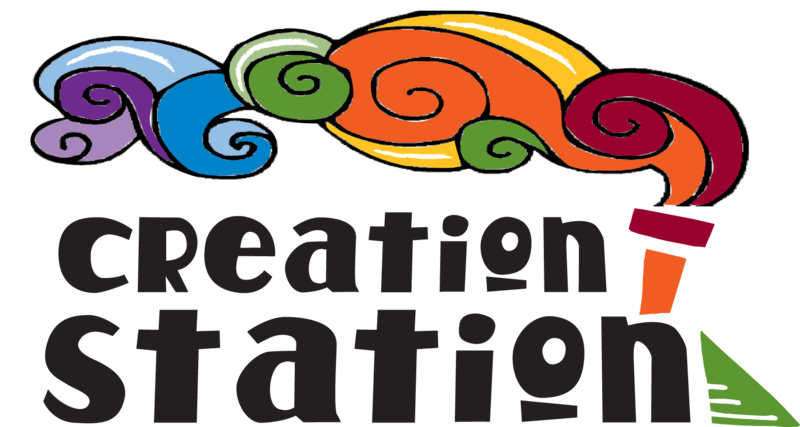 We begin our expedition at Creation Station, designed for children birth through Pre-Kindergarten. Young children are naturally full of wonder, excitement and faith. Our goal is to lovingly guide them as they prepare for the adventure of a lifetime — following Jesus Christ! We want all children in Creation Station to learn three basic truths: God loves them, God made them, and Jesus wants to be their friend forever. Base Camp is the point of the faith adventure where children kindergarten through 4th grade come to prepare for their expedition. Through large group teaching and small group discussion, children are given the tools, knowledge and relationships to help them as they make their ascent of faith in Jesus Christ. Base Camp’s curriculum is built on three basic truths: I need to make the wise choice, I can trust God no matter what, and I should treat others the way I want to be treated. The family, by God’s design, is where children are most influenced spiritually and morally. Family Summit provides parents tools to assist them as they journey with their children to a point higher than all the ground immediately surrounding it – a summit of faith in Jesus Christ and a lifetime of relationship with Him. It is a place for elementary-age kids to bring their parents to learn about faith, worship, prayer, service and so much more! Where kids bring their parents to pray. A safe, family-friendly environment in which families and individuals can learn about each other as well as the importance of an active family prayer life through large and small group discussion. We know that it can be a challenge for families of children with special needs to attend church. Our goal with our Bridges ministry is to meet that challenge! We have a dedicated classroom for children with special needs staffed by a team who would like nothing better than to share the love of Jesus with your child. Come check it out. We’ll work with you to personalize the experience for your child, so you can join our community for Sunday morning services. Stepping Stones is a place for children from birth through 6th grade to grow and experience the transforming power of God’s Love while their parents attend JourneyUNITED nights, which are typically the last Thursday of the month. Children experience a time of learning, Bible stories, drama, art projects, play time, snacks and movies. Stepping Stones also helps children understand how a relationship with Jesus can bring sure footing through the journey of life and provide a rock-solid foundation beneath their feet even when things get rough. Secret Service is a ministry designed for our 5th and 6th grade students that combines in-depth Biblical teaching with a variety of service opportunities within the church. The ministry is created to enhance their faith by doing an in-depth study of the parables of Christ. They also experience what it means to be the hands and feet of Jesus while serving others alongside spiritually mature adults within the church community. Secret Service allows them to grow deeper in their faith while preparing them for youth ministry.